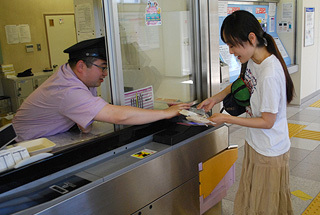 Japan Railway (JR) East issues a prepaid e-money card, called a Suica card, for fare use on trains, subways, and buses around the Tokyo area. 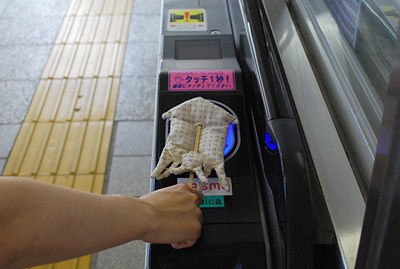 You just touch the card to the sensor at the ticket gate. You don’t need to buy a ticket every time you ride. 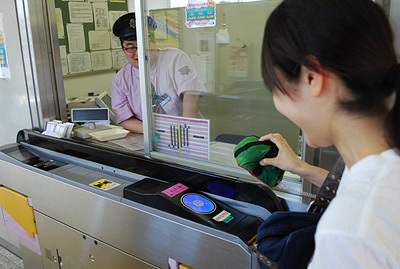 Suica cards can also be used for shopping. How convenient! Penguins printed on the cards are very cute. 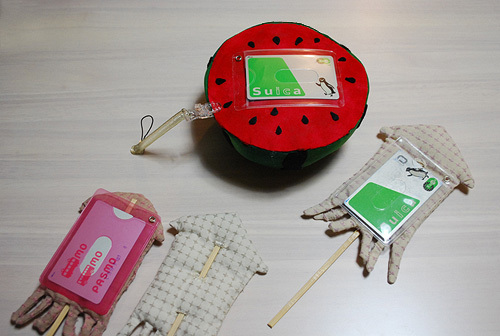 “Suica” is pronounced the same as “suika” (watermelon); kind of a play on words (^^;). I found a blogger who has actually put this pun into practice. 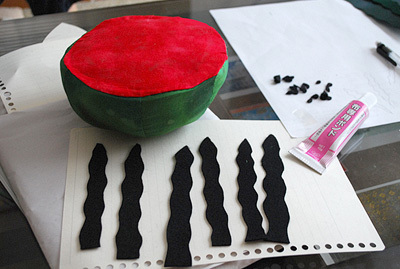 She fashioned a card case in the shape of a watermelon. Suica in a suika! 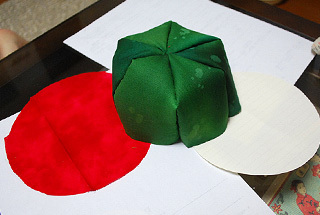 First a piece of green fabric is necessary for making a watermelon. 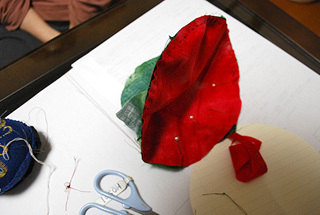 Of course red fabric, too. 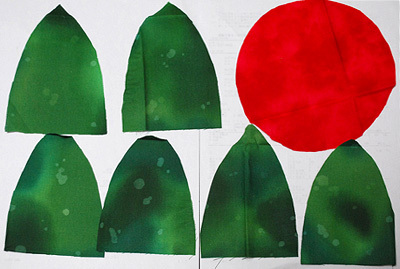 These fabric pieces look like mountains and the sun. 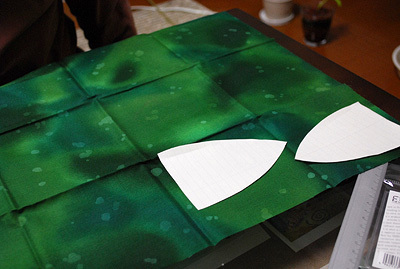 But the blogger makes a “suika for Suica” this time (^^). 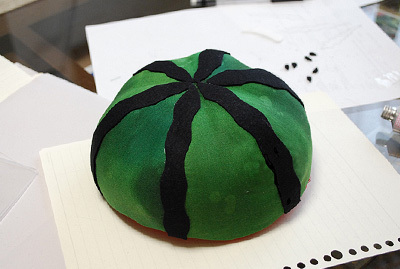 Now it’s looking more like a watermelon. 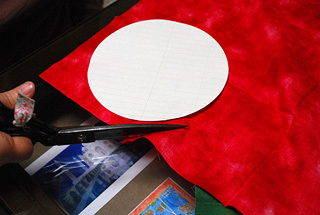 She puts some cotton into the suika. 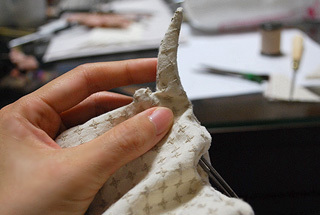 It seems very difficult to hand-cut such tiny pieces of fabric. 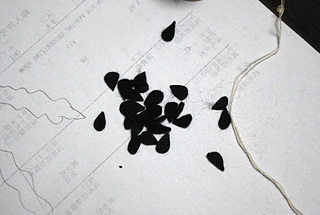 Our blogger must be very meticulous about details. This is unmistakably a watermelon. Now look! She’s on to the next project. Yes, it is. 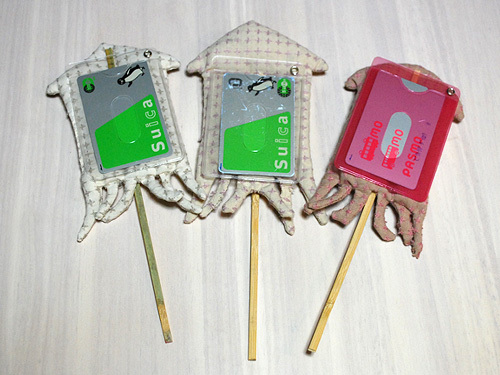 In Japanese su is vinegar and ika is squid, so suica (su-ika) can be “marinated squid with vinegar”. 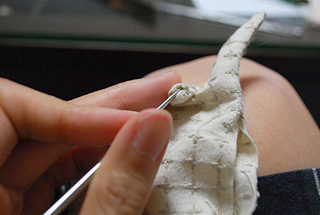 She makes the legs of su-ika very carefully. “Suica in Su-ika” also looks great. 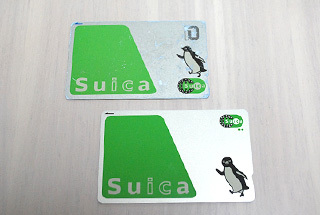 Now the blogger heads to the train station with her “Suica in suika” and “Suica in su-ika”. 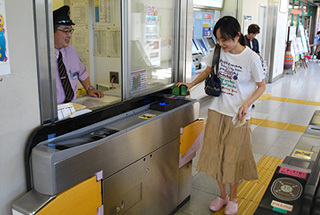 She approaches the ticket gate. Hmm…A member of the station staff is watching her! 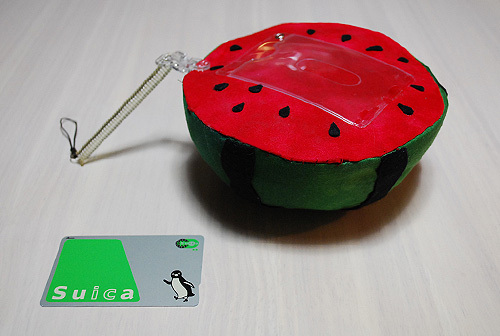 He seems to get a kick out of the suika shaped suica case. 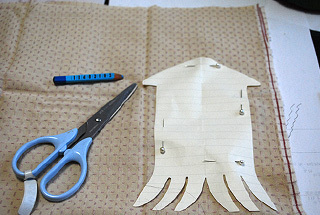 Now, our blogger tries to use the squid-shaped case. The station man gives her some advice. 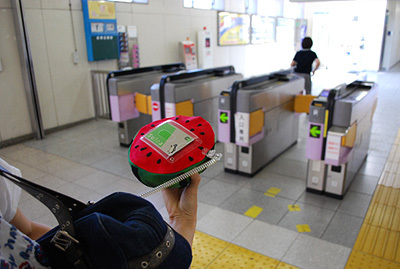 He appears to love this squid shaped suica case, too! 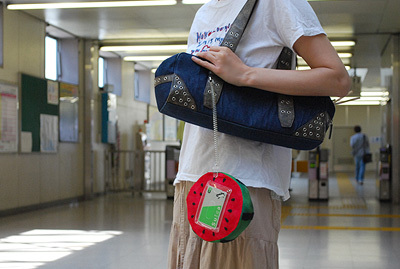 These hand-made suica cases are cute and useful (I suppose). 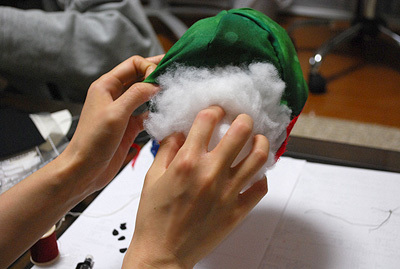 I can’t see making one for myself, but I would sure appreciate it if someone gave me one! How about you (^^)?